Hand and Stone Massage and Facial Spas is seeking for Corporate Esthetic Sales Trainers to carry out key sales training for the organization on a national level. This position would require day to day contact with franchise operators and their esthetic sales teams as well as national training in main markets. 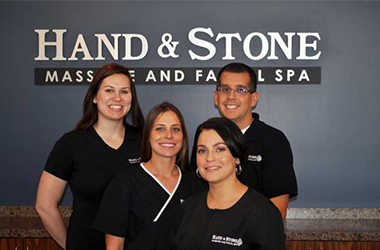 Hand and Stone Massage and Facial Spas is always seeking outstanding people to join our team in Corporate and Regional Training jobs. Join the Hand and Stone Massage and Facial Spas Talent Network today to stay-up-to-date on our current openings for Corporate and Regional Training jobs as they become available!